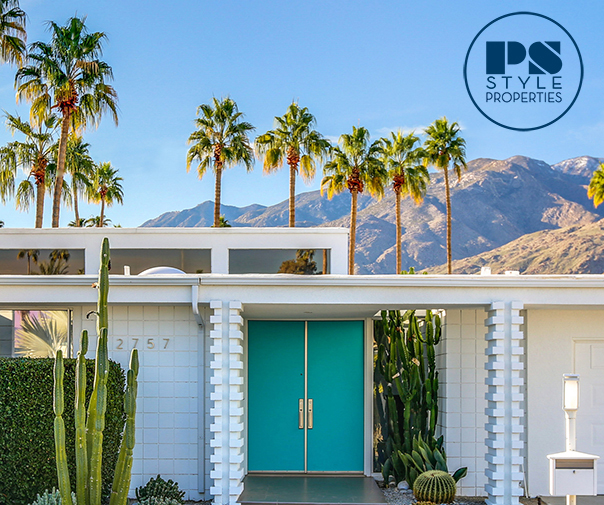 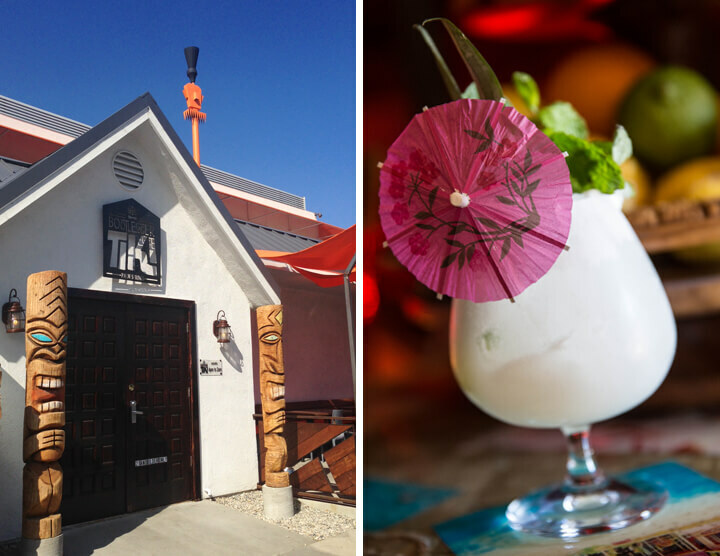 Palm Springs has an exciting new addition to its nightlife offerings, in the form of Bootlegger Tiki. 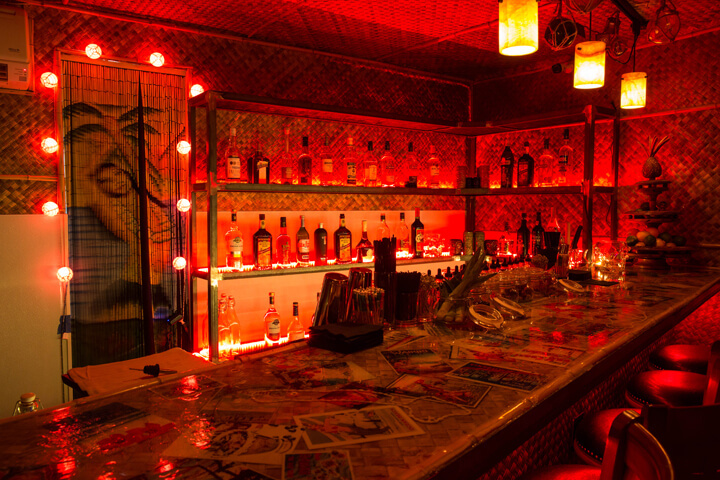 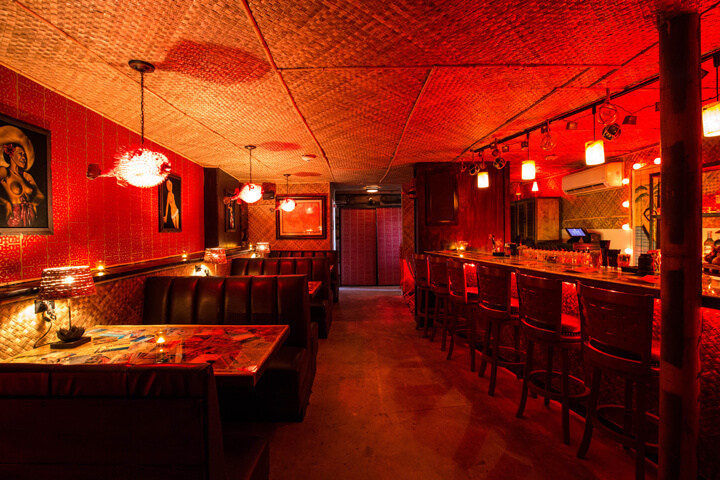 Created by the same duo behind Ernest Coffee, the bar is located in the Uptown Design District in the building that originally housed the Don the Beachcomber tiki restaurant that opened in 1953. 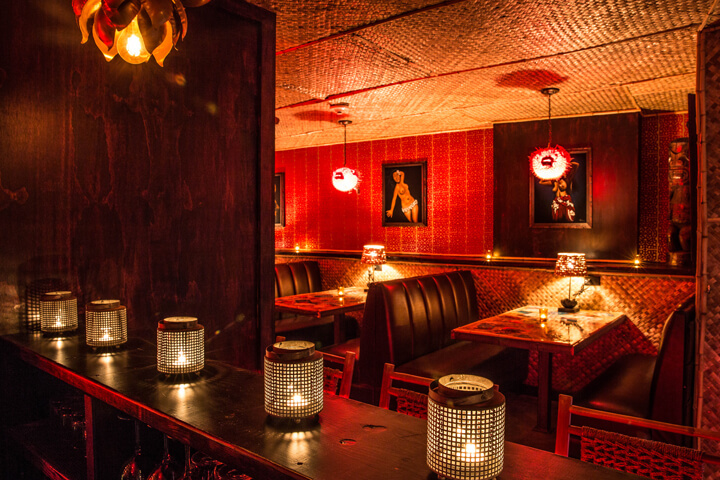 Bootlegger Tiki is a cozy spot with tons of ambiance, serving up a great menu of tiki-inspired craft cocktails like the ‘Poison Dart’ (a tasty concoction of bourbon, cinnamon syrup, lemon juice, cynar, orgeat, orange bitters & pimento dram). 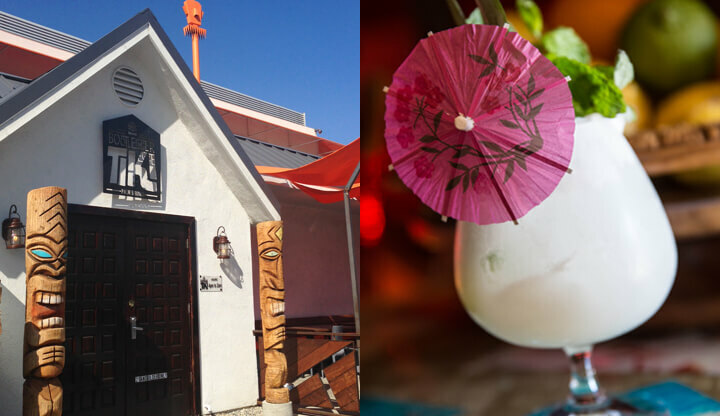 You won’t want to miss their daily happy hour, featuring half-price drinks from 4 – 6 p.m. And when Bootlegger Tiki opens at 4 p.m., the adjoining Ernest Coffee now transitions into a wine bar with a delicious selection of cheese and charcuterie.